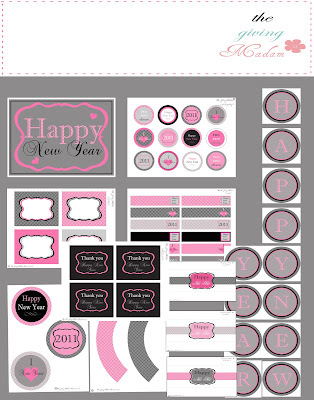 It's the final day of our HOLIDAY FREEBIE FESTIVAL, and what better way to wrap things up than with some printables that will help set the tone for 2011. 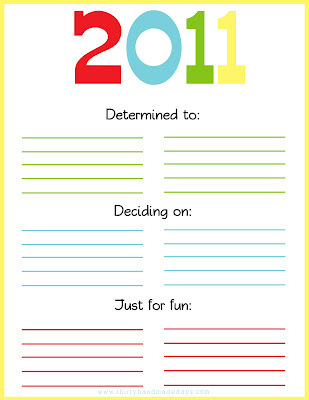 These New Year's Resolution Cards from One Charming Party are perfect conversation starters at a party tonight or for your kiddos to share their plans for 2011. 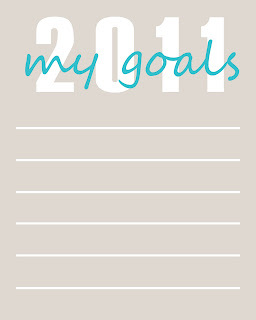 30 Handmade Days put together this great goal sheet for the new year. I love how they're categorized by things you're determined to do, deciding on and just for fun! And Kacey at Stay-at-Home-Artist designed some goal sheets too. Apparently, people who write their goals down are more likely to achieve them so download one of these fun files via the link above and start jotting down your resolutions for 2011! 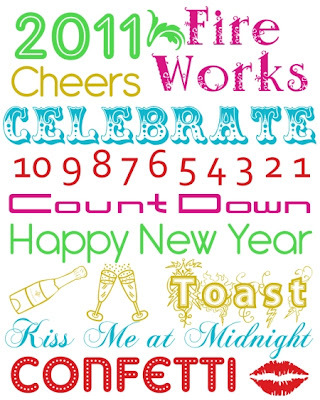 With just one day left until New Year's Eve, today's picks from the HOLIDAY FREEBIE FESTIVAL are more fun printables you can use to ring in 2011. 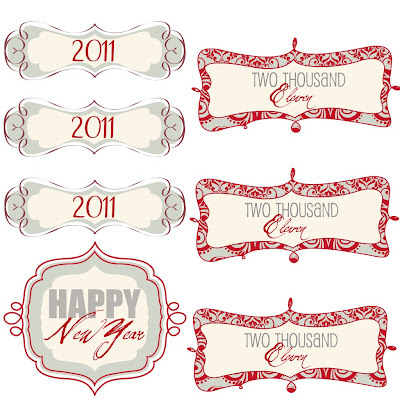 I love this set from Simply Creative Insanity - the red and gray color scheme is so pretty. 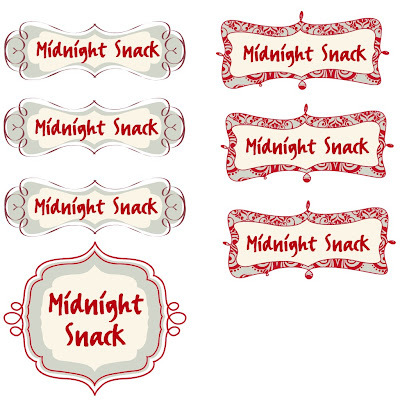 And the midnight snack labels are perfect for a dessert table or little takeout boxes of treats! The Giving Madam created a stylish set in pink and gray to benefit Operation Shower. Piggy Bank Parties designed a disco ball collection for Catch My Party that will add some sparkle to your soiree! 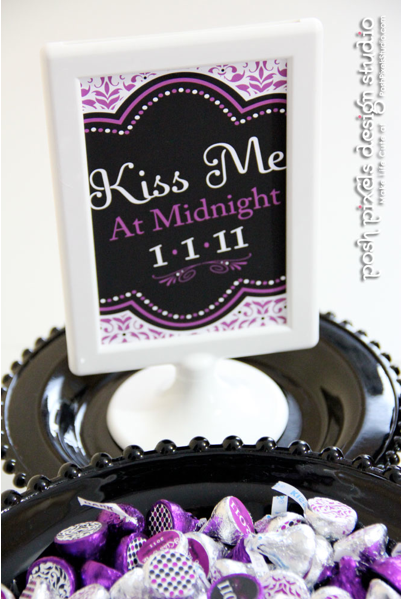 And also at Catch My Party is this elegant black and white damask option from The Paper Doll Shoppe. And here's one more that I just found out about - Kristy at Posh Pixels Design Studio has two stunning signs that will dress up your table instantly. 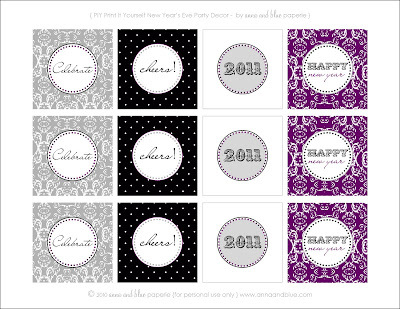 Oh, and don't forget to check out the New Year's Eve party printables I shared on Day 27 and Day 28 too! Download the all of these freebies via the links above and if you have a free holiday printable you'd like to share, enter it into the link up below. 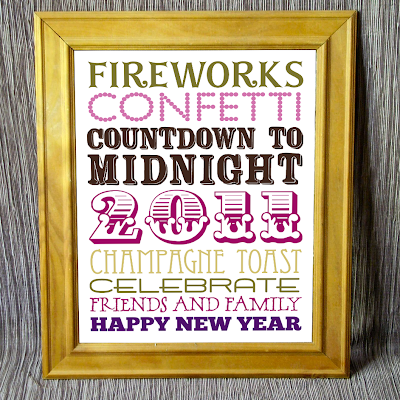 For day 29 of the HOLIDAY FREEBIE FESTIVAL, we're sharing our favorite artwork and signs for New Year's Eve. 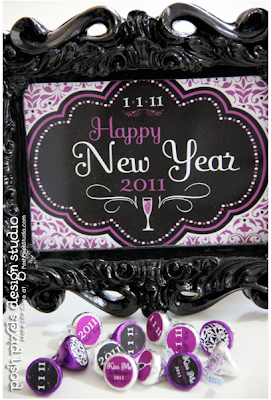 Custom Printables has a stylish subway art design in a really chic color palette. Kim from It's a Crafty Life is offering three fun options. 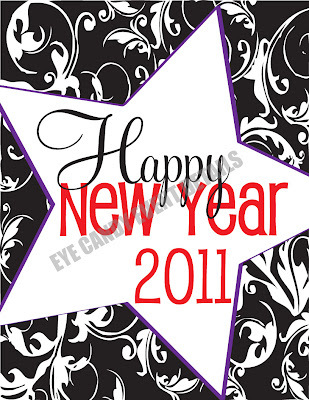 A generic Happy New Year print that you can use ever year. 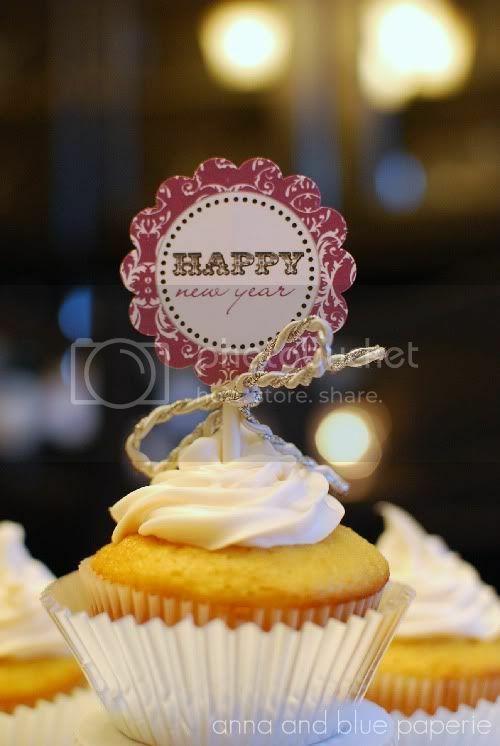 An optimistic way to welcome the new year. 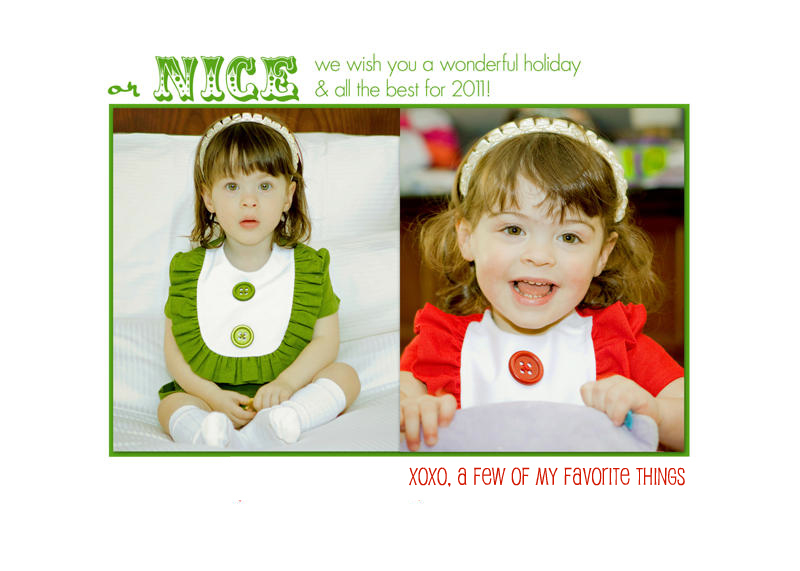 And this colorful 5x7 that you could either frame or send out as a card. Speaking of colorful, I love this subway-style print from Maria at Agape Love Designs & Photography. Isn't it fabulous? And last but not least, Eye Candy Events created this delightful damask door sign which is perfect for welcoming your guests on the big night. Download the all of these freebies via the links above and if you have a free holiday printable you'd like to share, enter it into the link up below! 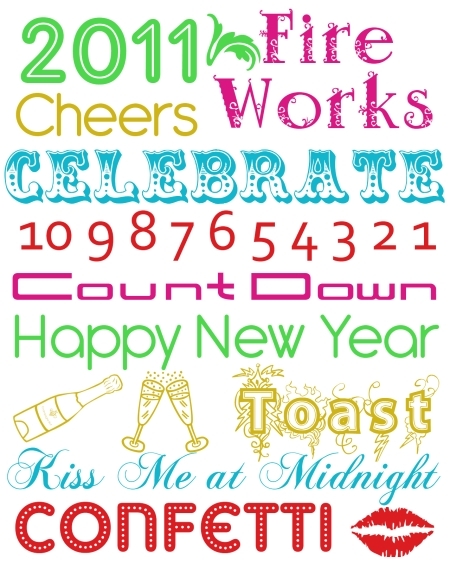 New Year's Eve is quickly approaching so we're featuring some more fabulous printables to help you ring in 2011 with today's pick from our HOLIDAY FREEBIE FESTIVAL! Stefanie from Anna and Blue Paperie design four party circles in a festive combination of purple, silver and black that you can use in, oh, 100 different ways. You can top off your desserts. 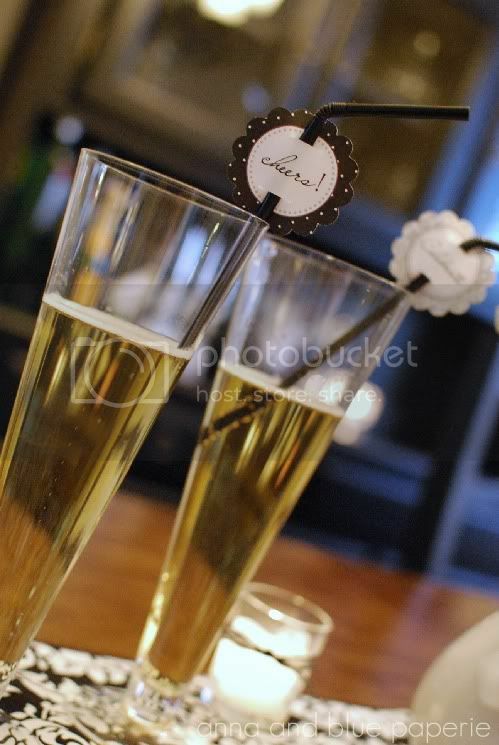 Or add some celebratory cheer to your cocktails. 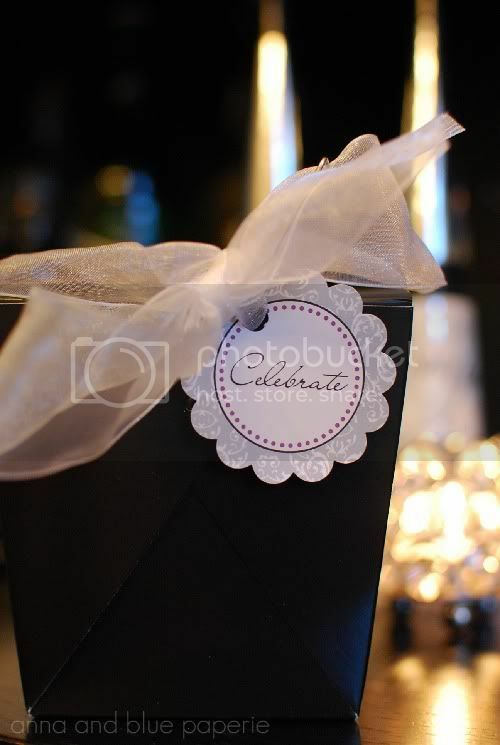 And look how fabulous they are tagging favors! 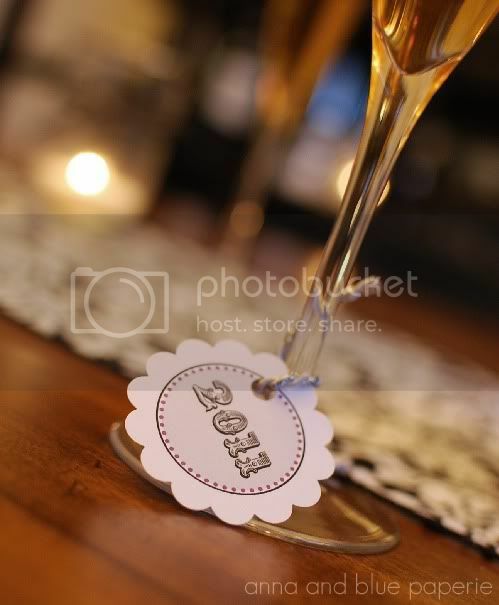 Print the circles smaller for napkin rings or wine tags or larger for welcome signs or banners. They possibilities are endless! 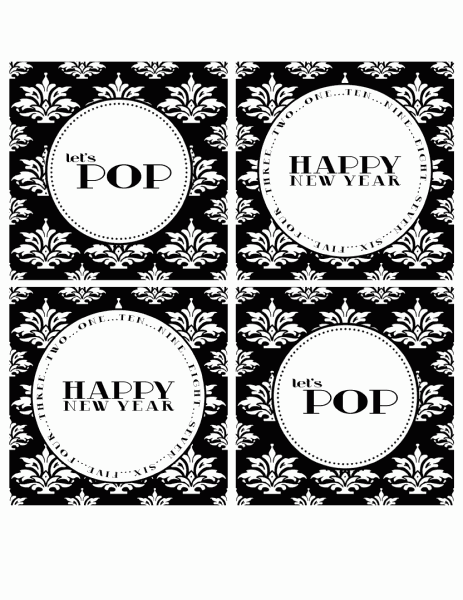 Download the New Year's Eve Party Circles from Anna and Blue Paperie HERE and if you have a free holiday printable you'd like to share, enter it into the link up below! 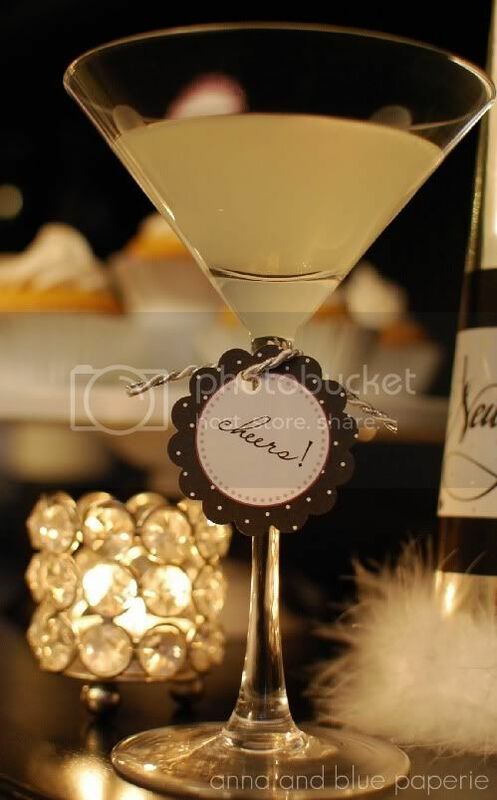 We're just a few days away from New Year's Eve so today's pick from our HOLIDAY FREEBIE FESTIVAL will help you throw a party to ring in 2011 in style! 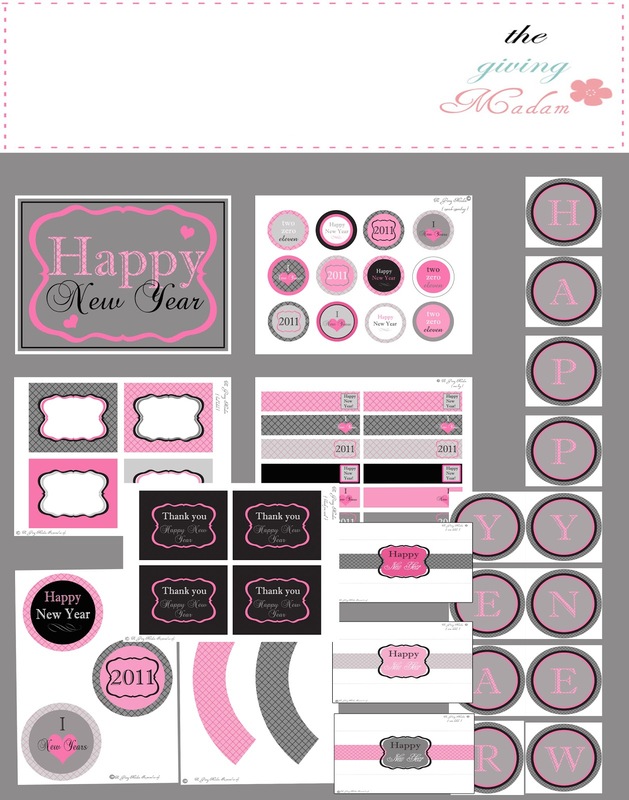 Love the Day designed a stunning printable collection that includes a banner, water bottle wrappers, cupcake wrappers, mini flags, a welcome sign, food labels, candy bar wrappers, party circles, a welcome sign and more! The party package was created to support Operation Shower, a truly wonderful cause that helps military families ease the burden of deployment. I hope you'll read more about it whether you download the printables or not. 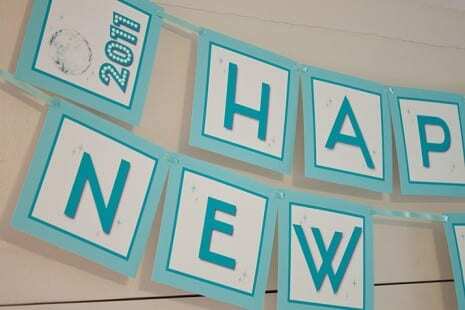 Download the New Year's Eve Printables from Love the Day HERE and if you have a free holiday printable you'd like to share, enter it into the link up below! 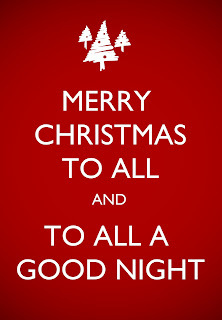 I hope you had a wonderful Christmas and Santa brought you everything on your list! 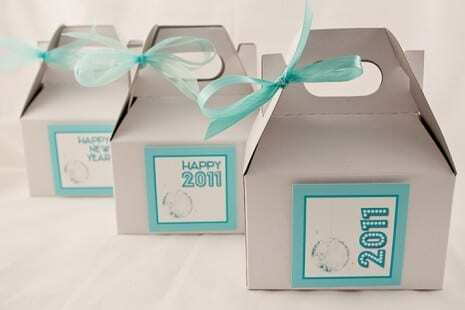 The gifts keep on coming here on AFOMFT thanks to our HOLIDAY FREEBIE FESTIVAL with great new free printables you can use to celebrate the coming new year. Today's pick comes from the always fabulous Martha Stewart. Whether you need to bring a gift to a New Year's party or just want to continue to spread the holiday spirit, these wine labels are just perfect! 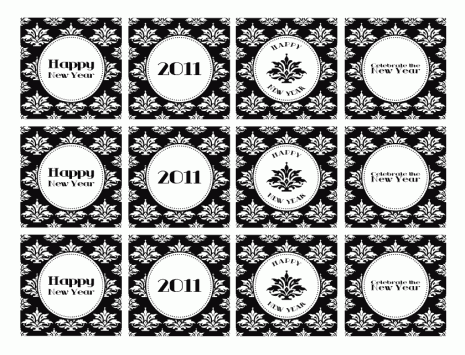 Print them out onto sticker paper and attach them to your favorite vino and you're all ready to go. And shhhhh - it makes re-gifting some of the bottles you got so much easier. Download the labels here at MarthaStewart.com and if you have a free holiday printable you'd like to share, enter it into the link up below! It's day 23 of HOLIDAY FREEBIE FESTIVAL and today's featured find will be perfect for your Christmas table! It's a Wishing Tree from My Grafico. You can download all of the pieces you need to build your very own, along with sentiment circles to add to it. You can even let your kiddos create their own ornaments to hang on the Wishing Tree! Download the printables here at My Grafico and if you have a free holiday printable you'd like to share, enter it into the link up below! Yup, I'm behind again with my picks for the HOLIDAY FREEBIE FESTIVAL but it's because I've been so busy checking my list to make sure I got gifts for everyone. Lucky for me, I have all of these free printables to help me finish things up. Here are four easy gifts you can give! 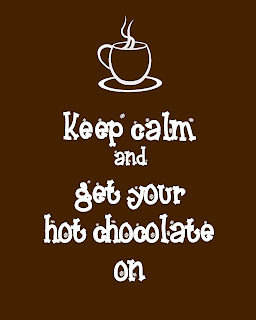 And you're good to go! 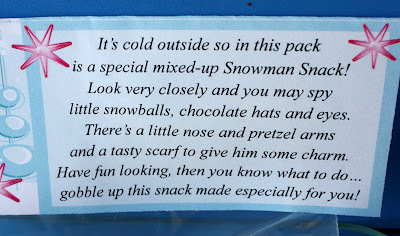 You could even give a mug and some marshmallows to go along with it. The lovely ladies at Blonde Designs give you the recipe for their favorite DIY bath salts as well as these free downloadable labels. And those adorable jars are just $2.99 for a set of four at Ikea. Talk about a cheap, er, I mean inexpensive, gift! 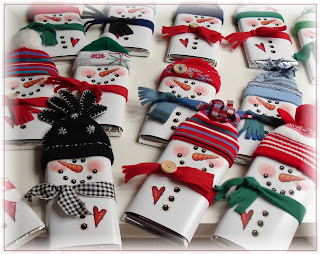 Laurie Furnell created these fun snowman printable wrappers that can be sized to fit anything from candy bars to Lifesavers. Just tie some old fabric around the "neck" as a scarf and stick an old baby sock on the head for a hat and you've got a super cute stocking stuffer. Kim at It's a Crafty Life designed this sassy owl graphic that can be printed onto iron on transfer paper so you can make tees and onesies. Make a top and pair it with some festive pants and you've got instant holiday PJs! Love it. Download the printables via the links above and if you have a free holiday printable you'd like to share, enter it into the link up below! For day 18 of the HOLIDAY FREEBIE FESTIVAL, I'm featuring a printable I've already used. Twice. I found it over on Simply Modern Mom and it was designed by one of my favorite bloggers, Ez from Creature Comforts. It's perfect for anyone who want her gifts to look fabulous but doesn't necessarily have the time - or the skill - to make it happen. 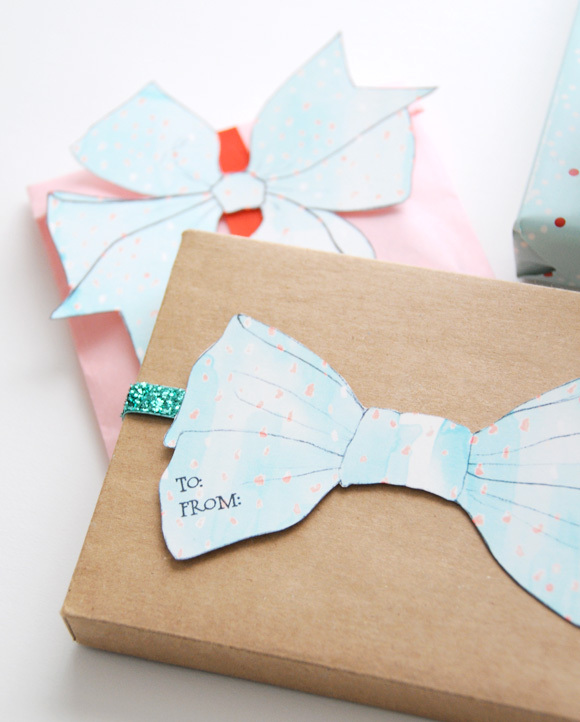 Yes, that's a printable bow! Just print it out and stick it on any old bag or box and presto! Instant show stopper. They even double as gift tags. 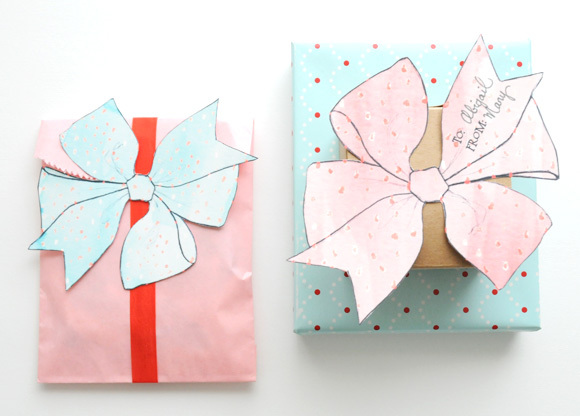 The bows come in the two colors show above and there's also a color-your-own version that's great for letting your little Picassos add a personal touch to your presents. Does it get any more fabulous - or simple - that that? 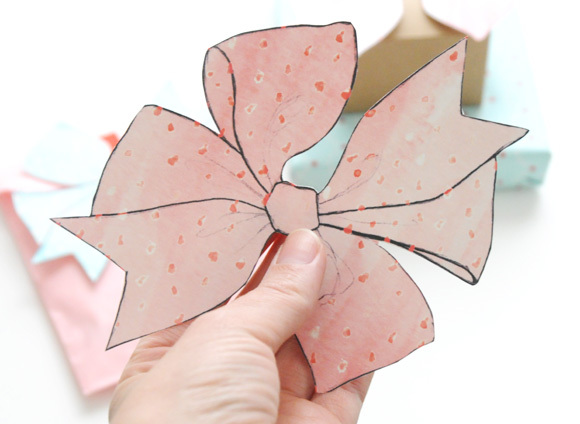 Download the printable bows at here at Simply Modern Mom and if you have a free holiday printable you'd like to share, enter it into the link up below! Congratulations ROBYNL! You've won three jars of homemade jellies from That's My Jam! They'll definitely help you kick the New Year off right! Please e-mail me at afomft@gmail.com by end of day Monday, December 20th to claim your prize. If I do not hear from you by then, a new winner will be chosen. And a huge thank you to Tux at That's My Jam! for this fantastic giveaway! If you need some last minute holiday gifts, trust me when I tell you that everyone you have left to buy for will LOVE these delicious organic, preservative-free jams, jellies and butters. It's day 17 of the HOLIDAY FREEBIE FESTIVAL and we've got more than 110 amazing printables in the link up! Whether you're giving a gift, decorating your house or throwing a party, there's sure to be a freebie for you. 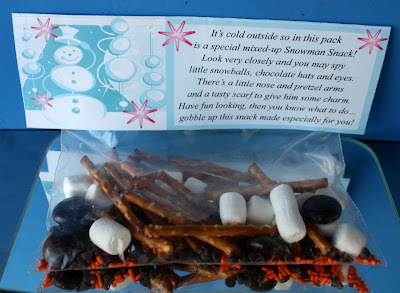 Today's featured picks are from Mandy at Gourmet Mom On-the-Go. She's created two fun snack bag toppers that you're little ones are sure to love! 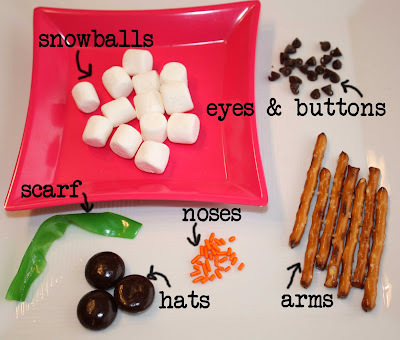 The first is for Mixed-Up Snowman Snacks, an assortment of treats that can be used to build an edible snowman. 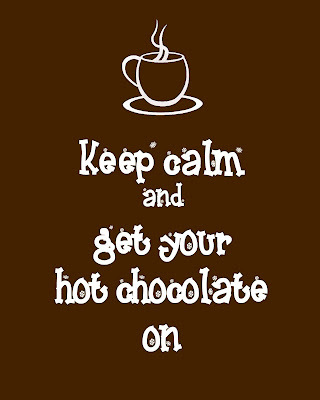 And you've got a great treat! But that's not all! 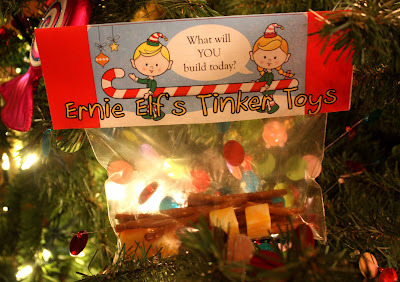 There's also an Elf Tinker Toy topper to go on bags of pretzel sticks and cheese cubes. If you have a free holiday printable you'd like to share, enter it into the link up below! Holiday Freebie Festival, Days 14-16! Okay, I'm totally behind on my HOLIDAY FREEBIE FESTIVAL daily picks but I've got two good reasons that I can't share just yet. Stay tuned for the scoop on why I've been so busy but in the meantime, here are a whole bunch of fabulous freebies in one post to cover days 14, 15 and 16. 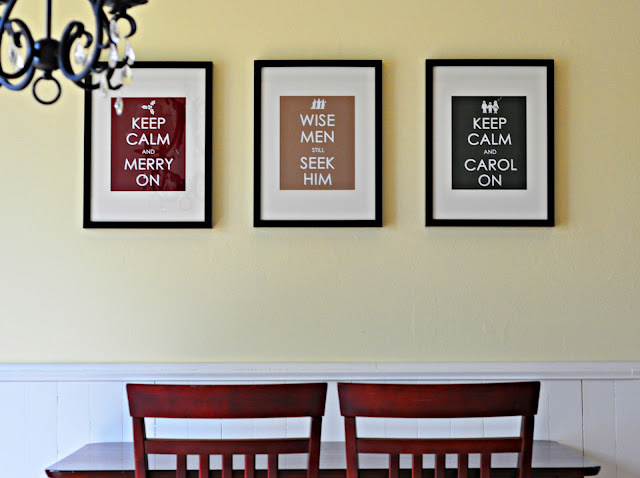 Up first is this trio of Keep Calm art prints from Craftily Ever After. You can download all three and hang them together like in the photo above or just choose one. 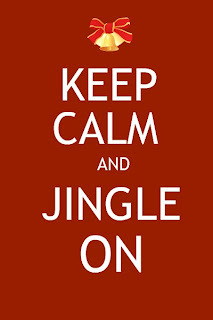 Either way, you've got a simple and inexpensive way to make your house more festive in no time at all! 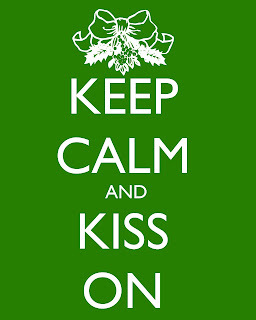 And Keep Calm and Kiss On. 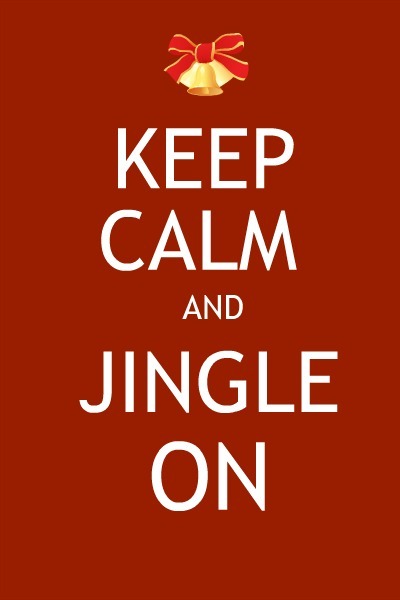 Over at Occasionally Crafty, you can download Keep Calm and Jingle On. 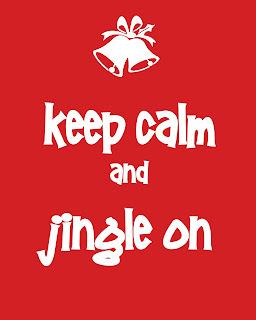 And Kara from Mine for the Making designed a Jingle On print too. Aren't all of these fun? PROJECT SECRET SANTA: Last Call for Toys! Holiday Freebie Festival, Day 5!